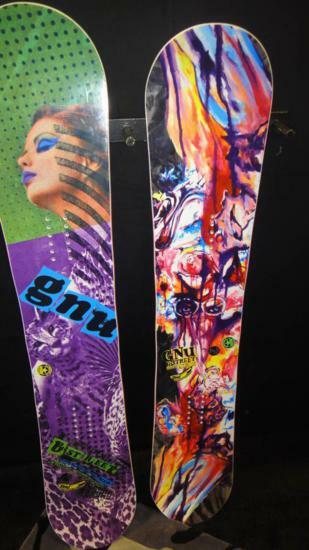 The Gnu B-Street is a slight upgrade making it different than the other boards in the past. The 2013 Gnu B-Street and Gnu B-Stret 2014 have the same BTX label but BTX changed just a little bit this year. It’s no longer pure continuous rocker but instead it’s flat after the rocker and seems like it might even have a tiny bit of camber at the tip/tail. It makes the ride a bit different and it offers up a bit more stability between the feet. It’s still not going to be close to C2 BTX but it’s better than the old BTX. On Snow Feel: The 2014 B-Street has a little bit more of a stable ride between the feet than the previous models. It’s not going to be like C2 BTX but it’s a little better than the old continuous rocker/BTX profile. It borders on being semi-stable and it’s got a better feel between the feet. This is a fun jibby easy going park ride with great grip. Powder: It’s not bad in the powder but the deeper it gets the more challenging it will be to keep afloat. Especially if you size down like you should to have a better time in the Jib Park. Turn Initiation and Carving: The 2014 B-Street is a little better but it’s not close to C2 BTX when it comes to springing out of a turn. That being said if you get the B-Street you don’t highly prioritize carving. Edge to edge turns are easy and quick. Speed: The B-Street 2014 isn’t much different than the 2013 and it’s not that much when it comes to getting some speed. It’s pretty soft and chattery but its more doable than you would think. Uneven Snow– All B-Street models are very easy with bumpy snow. Approximate Weight– pretty heavy for the size but it’s sturdy and should last a long time. It’s an american made sturdy piece of work with a good warranty and we’d take that over a lighter jib board. Edge Hold: Some complain that they don’t like the MTX side cut with jibs but we have never found any issues. It’s nice to have the extra edge hold from this aggressive MTX so if you want to have more grip you can. If you don’t like the edge hold you can file down the edges. Flex: The 2014 Gnu B-Street and really all the Gnu B-Streets have a similar soft flex that gets softer over time. Jibbing: This is the specialty of the B-Street and it excels here. The 2014 Gnu B-Nice is about the same but the new continuous to flat or even a tiny bit of flat to mellow camber makes it a little easier to slide and play around in the jib park. For our girls it was a confidence inspiring ride that all really liked. Pipe: Not bad for a jibber board. It’s mainly because of the extra grip and it makes it a more balanced ride. If you don’t take a file to the edges it’s not that bad at all. Jumps: All years are very springy and the 2014 is just a little bit better than past years thanks to the flat to mellow camber. It pops off the tip/tail a little better and still has that nice spring between the feet. All in all this is a very fun confidence inspiring jibber board that many will like. We did. We like the improvements with the camber profile that almost makes this a hybrid rocker type of ride. 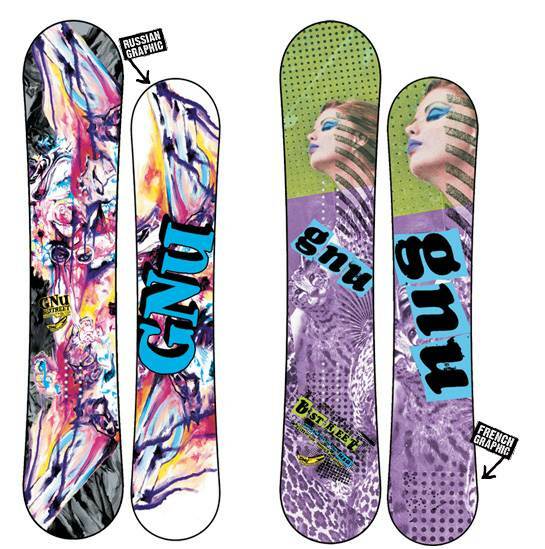 The 2013 Gnu B-Street is one of the better jib/street boards out there. It has very limited mountain capabilities but you know that if you are looking for a jib board. The B-Street has excellent edge hold, is very forgiving and it’s one of the best women’s choices we came across. It has a very easy way about it that offers a more confidence inspiring ride in the Jib Park. 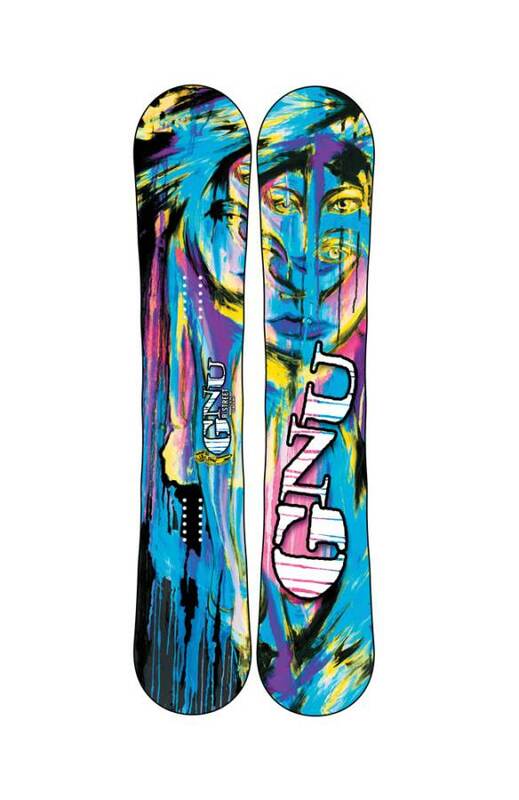 On Snow Feel: This is a jib board so it’s loose between the feet playful. It’s not for those that need stability but instead jibability. 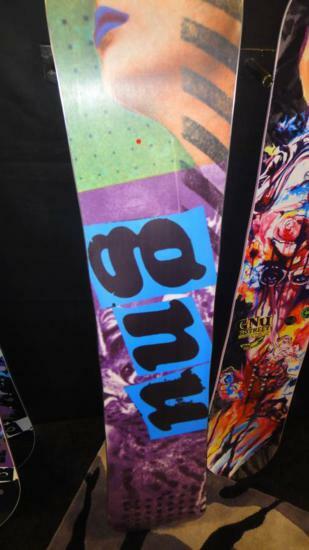 Powder: It’s a small jib board so it won’t offer much but it points up and that helps a lot compared to a camber board. Turn Initiation and Carving: Very easy edge to edge and it makes it easy to micro adjust without being twitchy like a lot of jib boards are. Very washy when it comes to carving though and it’s not really made for the mountain. Just because this board holds an excellent edge it doesn’t carve well because of the continuous rocker shape. Wide radius turns are ok but it just needs to be done between the feet. Speed: Not the B-Street strong point but that is expected. It’s very loose and chattery when you pick up speed. Uneven Snow– Super easy to handle bumpy end of the day snow with this board and it’s not bad for tracked out mountain riding. Approximate Weight– pretty heavy for the size but it’s sturdy and should last a long time. Flex: The B-Street starts out soft and then gets softer over time. You can butter this for days. Rails/Jibbing: Hit anything you can and ride all that you want in the jib park. It’s one of those jib boards that boots confidence. It’s very forgiving on even the most technical rails and a fun board to progress with. The continuous rocker is closer to flat so its stable between the feet when on rails. We had fun on bonks and just felt at home anywhere in the jib park we went. Jumps: Pretty springy and it’s small so you can have a pretty good time spinning off small to medium sized jumps. The board can get squirrely so bigger jumps would be more comfortable with a stiffer board like the B-Pro. There isn’t much difference between the 2010, 2011 and 2012 B Streets. Each year there are little upgrades that make the board a little better but the ride is still the same. One upgrade worth mentioning that makes the 2012 a little better is the base. 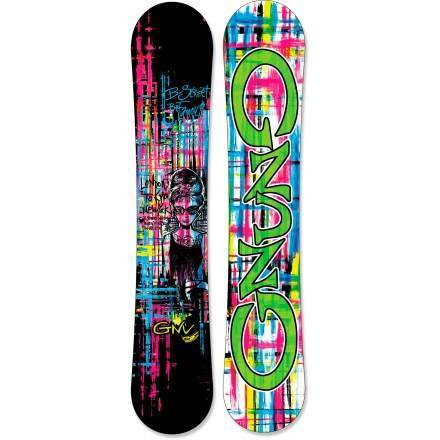 The 2013 is pretty similar to the 2012 so either boards are a good choice. It’s a little faster and easier to slide/ride on. 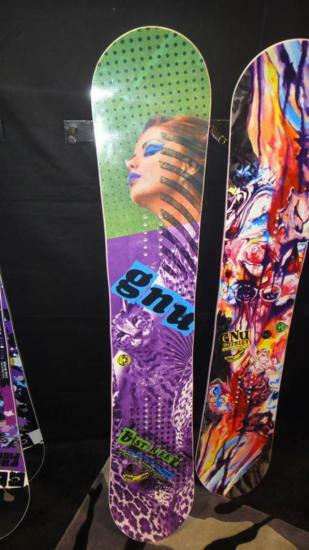 We try to get as many images of the Gnu B-Street, but forgive us if they're not all there.